​To share ideas, suggestions, and concerns. 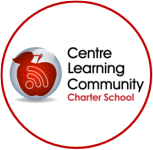 CLC Charter School is a tuition-free public middle school serving students in grades 5-8 in the greater Centre County region. We are a small and nurturing environment that emphasizes learning by doing. Our innovative project-based, hands-on curriculum integrates the latest technology and motivates our students to reach their full potential.